Same for me, several crashes, some outside of TW too. It happens during TW only. 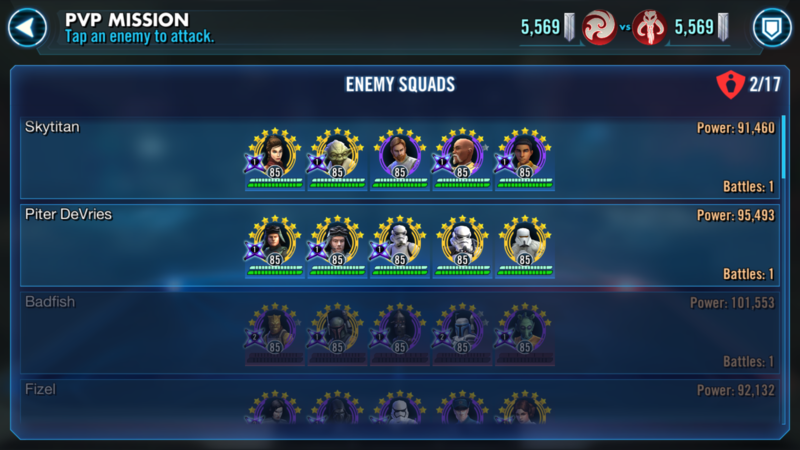 I literally just had a crash mid attack, was using a g12 Bossk team (w/Jango, Boba, Dengar, IG) vs a mix g12/11 Bastila team, had Annihilated/Executed both their Yoda and Ezra when the game crashed... logged back in, lost my attack plus “used my team” and on top of that his Yoda and Ezra are alive and full proc and hp!! The game has become unplayable. The crashing has been happening to me for last 3 territory wars. And now today it crashed during grand arena. I’ve spent way to much on this game to just sit back accept it. Might be time for refund. Mine has crashed in GA and Daring Droid today, getting sick of it now!